Your dog training device produces what is called ultrasonic noise. Children can hear in the 25 kHz range, though they may not develop that ability until they are school aged. 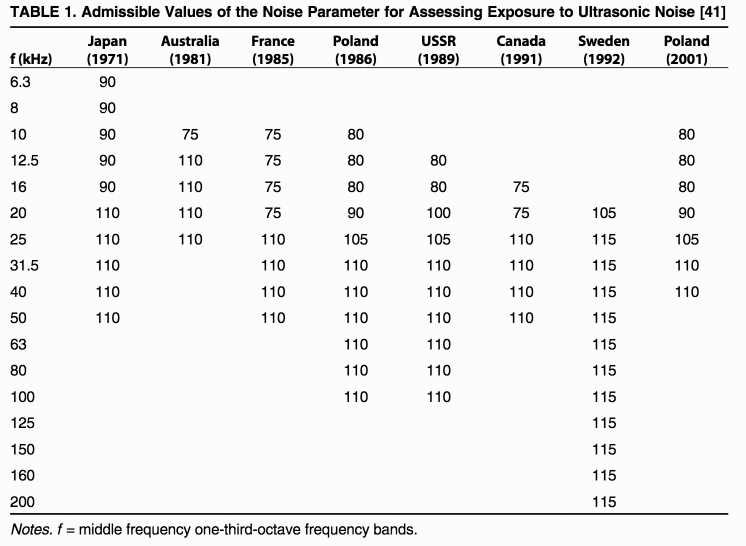 This review has a good overview of the literature around ultrasonic noise. They draw the conclusion that it's hard to isolate the effect of a particular frequency or frequencies exactly, but there is some inconclusive evidence that noise at the frequency and dB of your dog training device could cause hearing damage and have other negative effects. In several countries, you're above the admissible range, but this is for longer term exposure. What is the human ear's temporal resolution? Most sensitive hearing human ever measured?